The crypto-currency market is chaotic nowadays. According to CoinMarketCap, there are more than 1,300 coins and countless ICO tokens participating in trading on more than 300 exchanges and stored in different wallets. It becomes more and more difficult to quickly obtain an assessment of the current financial state, the yield on a particular currency, and the whole portfolio. This leads to the risk of making wrong investment decisions, serious losses or lost profits. 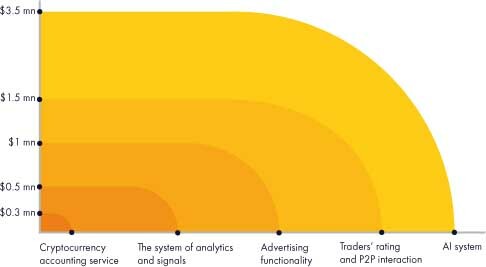 Almost every investor, trader and crypto-amateur sooner or later faces the problem of accounting his crypto-currency portfolio. For crypto-currency funds, this problem is especially acute. They need to analyze a huge number of financial transactions and at the same time to report to their investors. Together with the growth of the fund, it is necessary to reduce the complexity of maintaining an internal accounting system and improve its accuracy. And for clients, as for investors, the most important thing is to understand how much they have earned. When you have a small number of about 1-5 currencies and long-term investment, you can easily take notes about their purchase prices and wait for the changes. When the number of currencies in the portfolio grows up to 5-10, Google Tables or Excel can be suitable. The table can be supported by a script for automatic exchange rates importing and transformed into the table that shows the portfolio profitability. You can use a cryptocurrency accounting service. To date, all existing services can be divided into two categories: ones with wide functionality, but not user-friendly interface and others with pleasant design and usability, but lack of features. Considering the existing solutions, one of the most promising services is FinTab, which is developed by a young team from Russia. 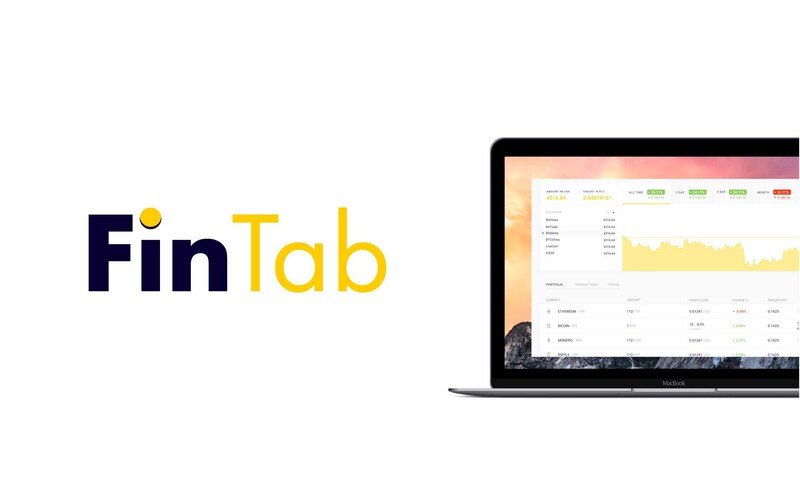 Faced all problems above in practice, the FinTab project team decided to create a service that combines convenient design and extensive features, and is equally useful for both experienced traders and large funds, and for crypto-enthusiasts. 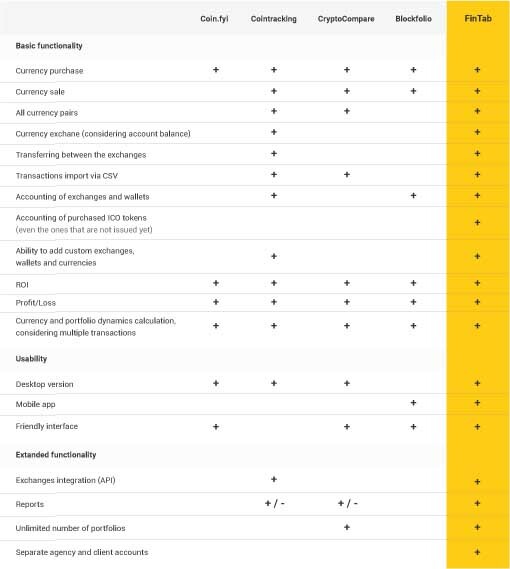 We have a very simple principle: there can be as many currencies, wallets, exchanges, portfolios as you like, but the accounting system should be one. Our crypto community actively supported the idea of creating the service. The closed stage of sales is conducted on December 10-13, where the price of one FNT token will be $ 0.25. The minimum investment is $ 8,000. You can apply on the website. The price of one FNT token during the ICO is $0.40. Within the first 48 hours + 30% of tokens. Within the next 5 days + 20% of tokens. Within the second week + 10% of tokens. Within the third week + 5% of tokens. Why Participate in the FinTab ICO? The project has a very thoughtful and transparent business model and the economy of the token. The main purpose of the token is to pay for the service. Having estimated the potential number of users of our system by the third quarter of 2018, we calculated how many tokens should be released. After the final stage of the ICO, the tokens will be freely traded on exchanges, and the value will be regulated by the market and will depend on the number of users. 10% of the FNT tokens pass to the FinTab team. Thus, the number of tokens will be constantly reduced, and the demand will grow, increasing the number of users. Demand increase for the service due to its constant promotion and development of the functional. Turnover of tokens increases due to advertising functionality. Growing demand in relation to supply by burning tokens. The forecasted starting point for the token’s growth will be the implementation of the paid accounts into the system and the beginning of tokens burning. For more detailed information check our website and Whitepaper. 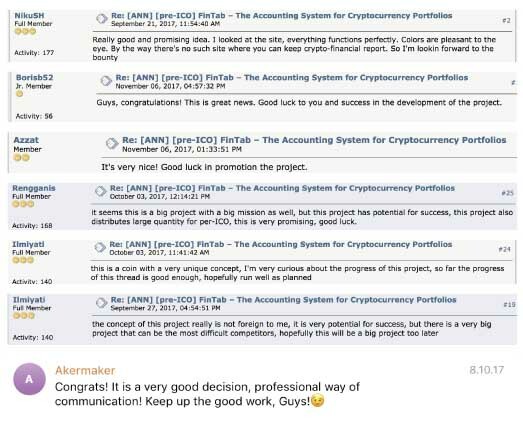 The FinTab team is ready to communicate. Any questions about the service or the ICO conduction to be asked to write directly in telegram chat or send your proposals and feedbacks on [email protected].